How do I manage during uncertainty? If you are in New Zealand, you have probably had enough of the earthquakes. Difficulties Christchurch faced is known worldwide. In recent time my home city of Wellington has also suffered from a magnitude 6.5 earthquake followed by several aftershocks of over 5. 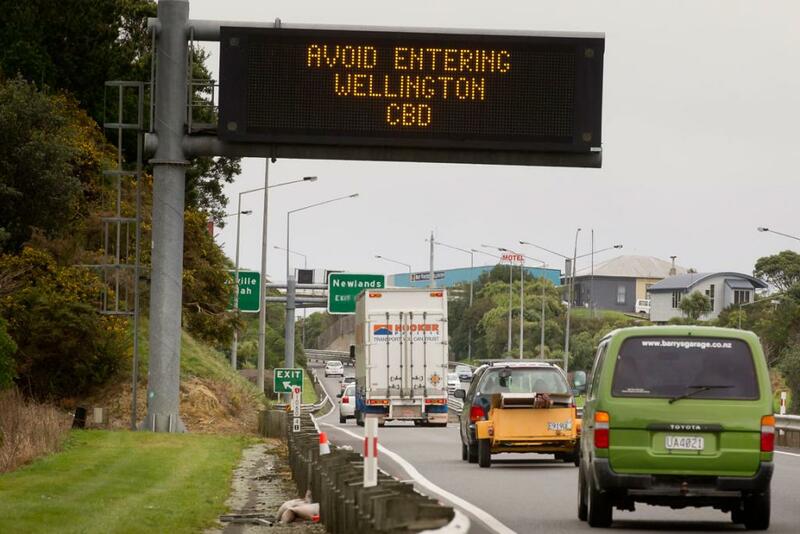 Fortunately Wellington appears to have escaped reasonably lightly due to its rock base and higher standard of building code, due to its location on a known fault line. 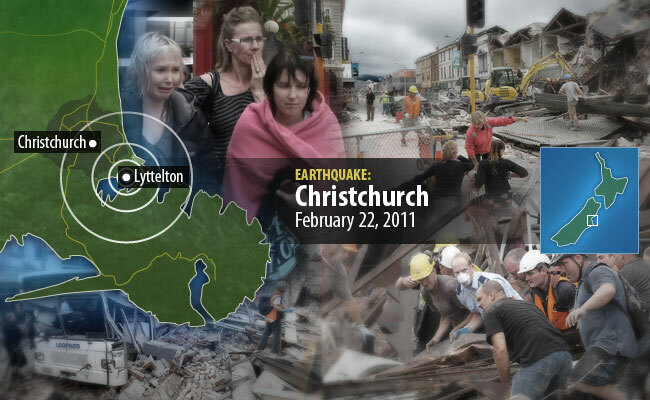 I did a lot of consulting at the Canterbury Earthquake Recovery Authority (CERA) during its trying times. I saw a lot of their challenges first hand. What I had not experienced is the frazzled nerves. I always had the option of leaving, if the going got too tough. I have no such luxury in Wellington. Our office building has developed cracks in the stairwell, enough for management to be concerned about evacuating safely in the event of another emergency. We have decided to evacuate voluntarily until an independent engineering assessment is completed. While that happens, we are in indefinite exile from the office. After the first earthquake some of the staff were locked out without access to their laptops. For an IT consultancy missing your laptop is like missing a limb. There is only so much you can do without it. We were back in the office for only a day before the continued aftershocks resulted in the evacuation. At least this time we had the opportunity for an orderly evacuation and took with us our laptops, notes, password stores, two factor authentication devices … basically things the team needs to do its work. Thankfully our document, work and incident management systems are all internet based. The first lesson I have learned through this experience is about logistics. We have traditionally asked staff to turn off their laptops when leaving the office to save electricity. I have since asked my team to leave it plugged in and hibernation setting turned off or to take the laptop home. This to ensure in an unplanned office closure, we can be in a position to either provide them remote access to their laptop or they have it at their disposal. We have dongles and other forms of access keys to connect to our customer environments to provide support. We are getting a second set of these from our customers and storing them at one of our other offices in a different city. When some of the team did not have access to their laptops, we switched our service model temporarily to provide advice and on-site consultancy. Many of our staff take their laptops home, so this was somewhat manageable. This approach does not always work. What is convenient to us is not always convenient for our customers, and you have to accept that. The second and most important lesson I have learned is the value of co-location. I have stayed in touch with most of my team on a regular basis to provide direction, progress information and in general ensure well being of the team. What takes minimal time when you are together in the office takes significantly longer over the phone. Staff do appreciate being kept in touch. There is nothing like feeling left to fend for yourself to kill productivity. Lack of access to the regular work items will do enough of that. I organised some localised meet ups to retain some level of camaraderie. Like other large cities, not everyone can make those at the same time with disruptions to public transport, lack of parking and access to central business district. Now that some of those challenges are abated, we are organising a room where staff can have meetings and drop in from time to time. What is lost in working on your own for prolonged periods is the ability to learn from each other. While we had been working on a disaster resilience initiative, last fortnight has proved we are nowhere near there. It has been a challenging experience running a team size of ours remotely for extended periods. I have intentionally kept this post off the topic of financial impact and insurance, as my intention is to ponder the human elements in such situations. If you have experienced similar challenges and have found steps that work well, or does not work so well, I will be glad to hear. As with what I saw in Christchurch, I am pleasantly surprised at the resilience of the team. Human beings have an amazing capacity to adapt to challenging situations. Can you manage all projects through PRINCE2 or Agile? I have been an avid advocate for PRINCE2 as the project management methodology with agile practices incorporated to deliver the specialised products of the project (software, hardware, service etc.). I have recently been working with the Canterbury Earthquake Recovery Authority (CERA) to provide geospatial support required for evidence based decision making as it charts a course for a difficult journey to bring Christchurch city and the Canterbury region as a whole back on its feet. This has led me to ask if PRINCE2 or agile methodologies can be used to deliver a project of this nature. Let us review the fundamental tenets of the two methodologies. The key to PRINCE2 is the management structure of the organisation. Here I refer to the project management structure with the Senior User representatives as the organisation, rather than the entity which the project is being conducted for. In a state of emergency or its aftermath, most of the staff in CERA are seconded from other government agencies. They are so busy keeping the ‘lights on’ in their existing roles, having an effective Senior User group becomes virtually impossible. Agile too requires participation of the stakeholders. It is assumed the users have the ability to help plan, prioritise the product backlog and provide timely feedback of stories in progress. Many of the staff simply do not have the time luxury to do justice to that. They are not only involved in the recovery of the region, but also their individual lives. Priorities also change from day to day. While some may argue this is ideal for agile delivery, there is a limit to agility. The fine line between agility and chaos is crossed more often than not. A factor that has impact on both methodologies is the fact that most data owners are outside CERA and the service provider. Data is owned by the city and regional regulatory authorities, engineering companies assessing the damage. While there are some powers that CERA can use to ensure data requests, it becomes a futile exercise brandishing big guns to achieve small gains. What is required is more of people (or organisation) management to ensure high morale and a sense of accomplishment together. The key to success here is programme management ahead of time. It is key to have a Spatial Data Infrastructure (SDI) where the various agencies can find and harvest data. Encouragement needs to be provided to ensure participation is seen as beneficial to all parties. There is always apprehension about data quality and the likelihood of others discovering those errors. Rather than having those as barriers to participation, it needs to be seen as opportunities to improve data quality through feedback. When not in emergency, it may seem there is little benefit to undertaking such a programme. Benefits of the programme needs to be judged not on what it is achieving in the existing business processes of the organisations, rather the opportunity costs of not having knowledge or access to the data to undertake more accurate analysis or create additional products. In times of emergency this becomes the information backbone of recovery efforts and policy decision making. This has to be managed as a programme, not a project.